I love the flavor of shrimp and avocado together. 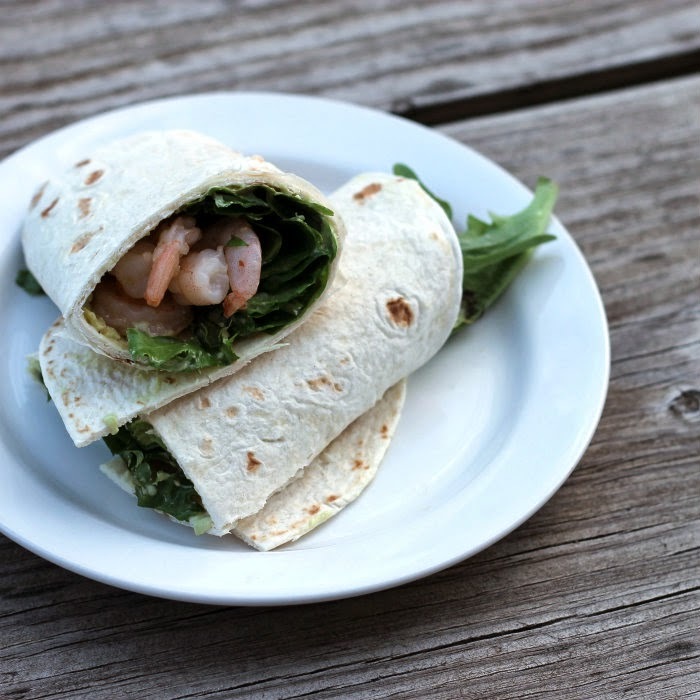 A while back I wrote about a shrimp taco and avocado salsa that I had made; I loved it so much I decided to find another way to bring these two flavors together again. I was looking for some kind of spread that I could make with an avocado when I found a recipe for this avocado mayonnaise. You may think that the avocado and mayonnaise may not go very well together or at least that is what I first thought, all I have to say is you have to try it to believe it. This avocado mayonnaise was amazing with the spicy shrimp and I have visions of using it with chicken sandwiches too and possibly with some fish. Who knows where this may lead to? 1. Heat olive oil over medium heat add garlic, red pepper flakes, and shrimp. Cook until shrimp are pink, stirring a few times while they cook. 2. For the mayonnaise place the pulp of the avocado into a bowl using a fork mash until the texture is smooth. Add the mayonnaise, lime juice, and hot sauce and blend until well blended and smooth. 3. 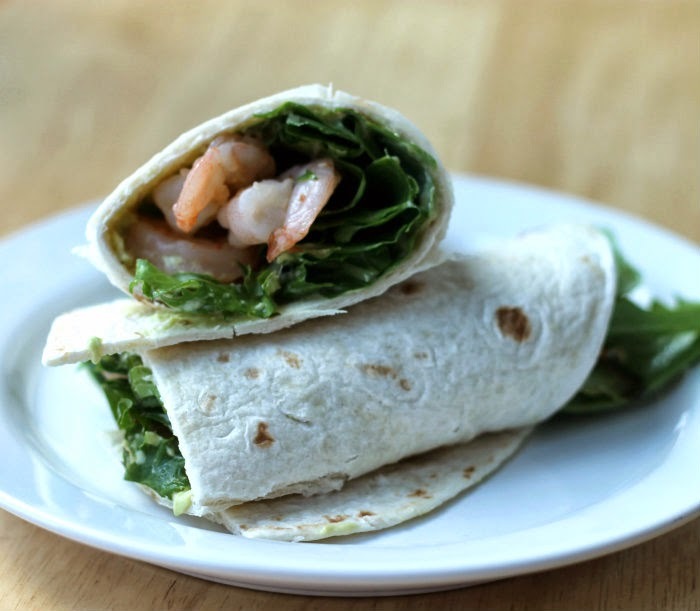 Spread the tortilla shell with the avocado mayonnaise add shrimp, lettuce, and other toppings and roll up. 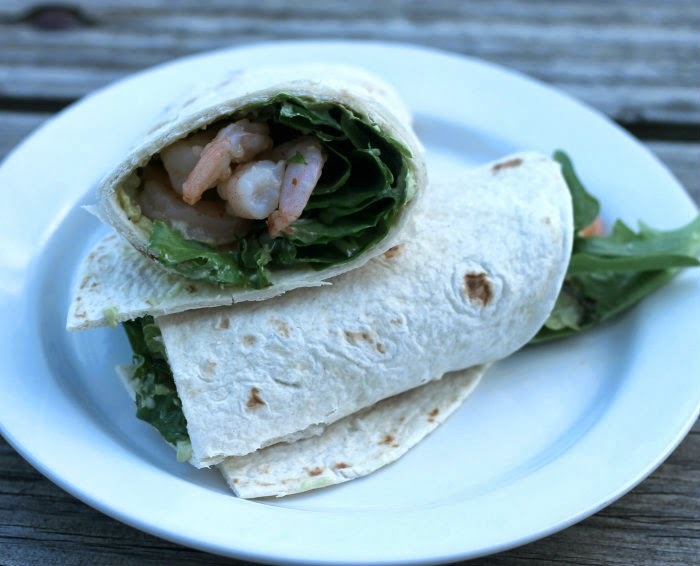 Nice wrap Dawn…like the sound of spicy shrimp and the avocado mayo sauce. I don’t really love mayo, but I feel like if it were disguised with avocado I would change my tune! I’m always looking for substantial cold sandwiches and salads to serve for dinner on hot summer nights. We all love shrimp here, this is one I’ll try for sure.